Beautiful wood, very rare and getting more so due to the invasive beetles that are gradually wiping them out. 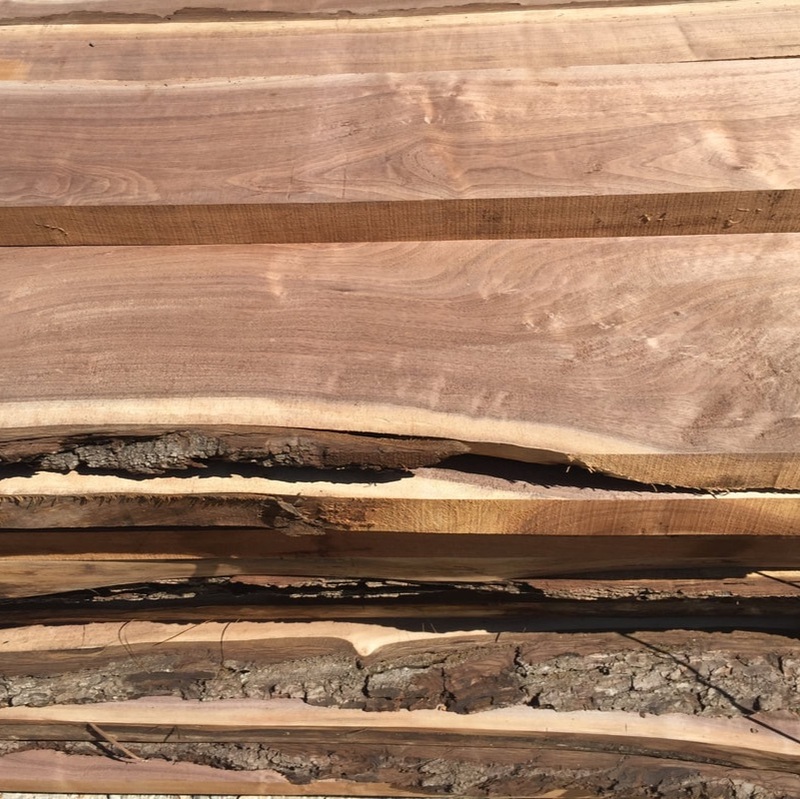 Pieces are 3 foot to 8 feet long, kiln dried, skip planed to 15/16" or 3/4" thick. There may a couple knots in the boards as in the picture. Walnut log prices have skyrocketed and continue to rise, and I have seen the walnut logs sell for more than I am selling the processed lumber. Right now, good walnut is extremely hard and expensive to find so my stock of lumber is erratic. 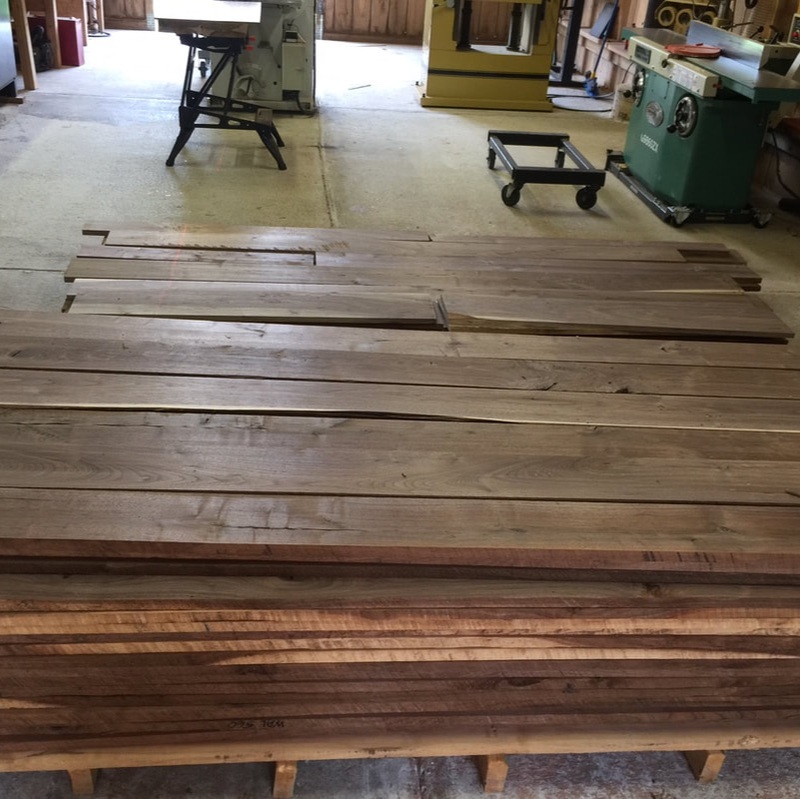 We air dry our slabs for about a year, then finish then in a kiln, and then sterilize them. We then trim and make them look exceptional.